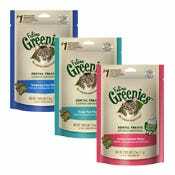 Greenies make it fun and easy to do what's best for your pet. 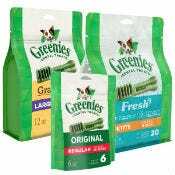 Their dental chews make your dog or cat's oral care a treat rather than a chore. 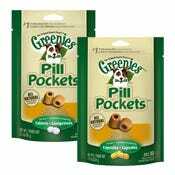 Their pill pockets turn "pill time" into "treat time", and in the end, you are the hero! So go ahead, get their tail wagging, and enjoy how easy preventative care can really be.